Quality Certification Macroreer has passed many quality system verifications, like CE, RoHS, FCC, established an internationally standardized quality assurance system and strictly implemented standardized management and control in the course of design, development, production, installation and service. 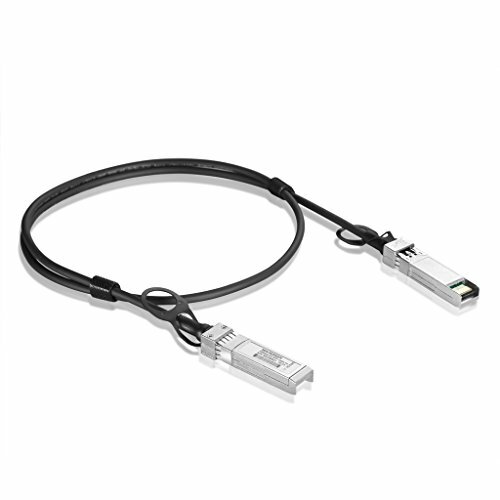 SFP+ to SFP+ 10-Gigabit Ethernet Direct Attach Cable, Twinax Cable, 1m. Work with SFP/SFP+ ports of Ubiquiti devices ES-48/ES-16-XG, every cable is individually tested on Ubiquiti Networks equipments, walks through the testing challenges and 100% compatibility. Macroreer is a Professional Manufacture of Networking Transceivers and Direct Attach Cables, bulk demanding over 50pcs please choose Fulfilled by Seller, Free Two-Day Delivery.